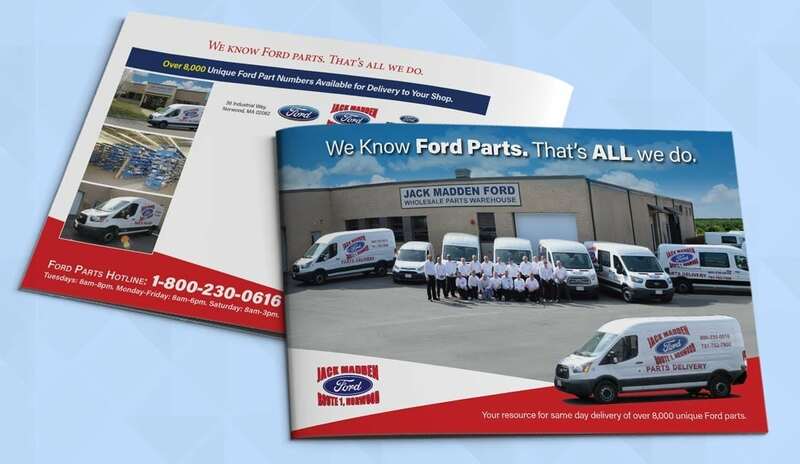 To promote this Ford parts distribution operation, our team spent a chilly afternoon photographing the facility, vehicles, and crew. Our expert, post-production skills helped to enhance the scenery and create a warm, spring-like setting. 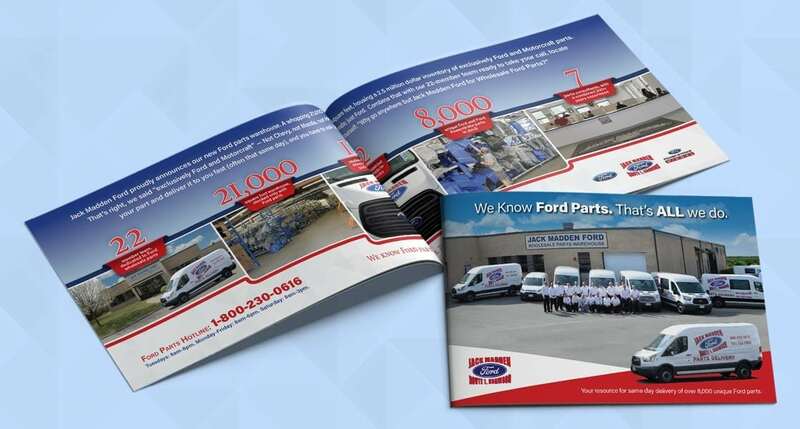 Copy writing services were also provided to help create a brochure that has visual impact yet is easily “digestible” by the clients’ audience.